There was a time when we questioned whether Prince Harry would ever find his princess. Following a number of high profile relationships over the years, it seemed that Harry was destined to live his life as the world’s most eligible bachelor. Following a number of secret dates, they royal couple’s love blossomed when Harry invited Meghan to join him on holiday in Botswana. It was here that Harry said the “stars were aligned”; he had found “the one”. After their romantic holiday, Harry – fifth in line to the throne – asked the beautiful Meghan to become his future wife. His Grandmother happily granted the couple permission in the autumn of 2017. The proposal was low key, private and understated – much like the couple themselves – with Harry popping the question during a cosy night in. However, the diamond engagement ring, was a beautifully thought-out piece. Designed by the prince himself, with a single diamond sourced from Botswana and two stunning diamonds from Diana’s personal collection, the ring is the perfect combination of modern-day elegance and heart-warming sentiment. Meghan’s ring has now become one of the most beautiful, iconic pieces of jewellery under royal ownership – joining a long heritage of timeless elegance. As we await the upcoming nuptials with bated breath, let’s take a look at some of the most iconic stories behind some our favourite pieces of royal jewellery. Since 1735, renowned jewellers Garrard’s creations have adorned many members of the British royal family. After over a century of commissions, the company was appointed as the official Royal Jeweller by Queen Victoria in 1843. This appointment was partly due to the fact that days before their wedding in 1840, Queen Victoria was gifted a beautiful sapphire brooch from Garrards by her future husband Prince Albert. 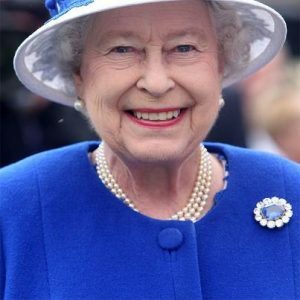 The Queen loved the brooch so much she eventually wore it on her wedding day as her ‘something blue’. As a mark of respect towards Queen Victoria, Garrard began a new tradition of placing a sapphire on the inside of all royal engagement rings, so that every royal bride had ‘something blue’ on her wedding day. 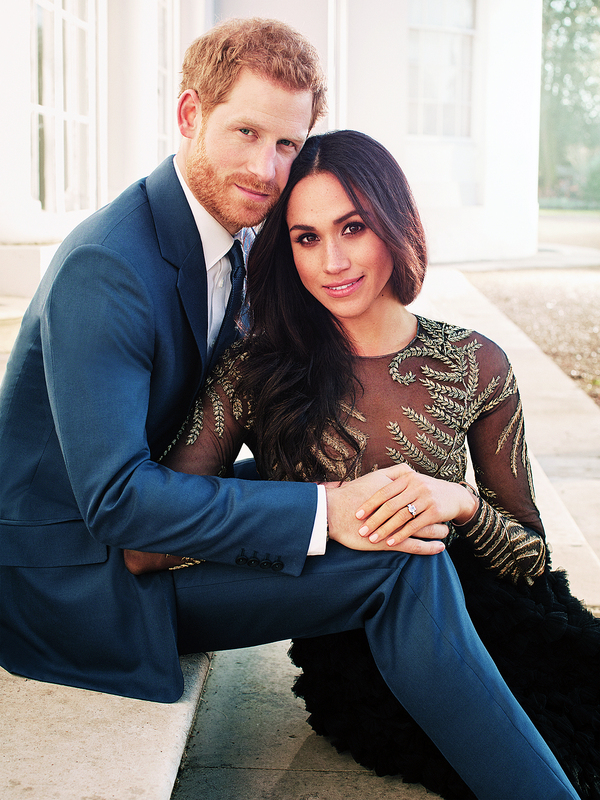 There’s no doubt that the British royal jewellery collection is the envy of many people around the world, especially when it comes to engagement rings. 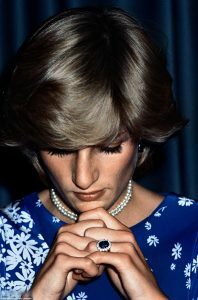 The most iconic ring out of the beautiful collection is Princess Diana’s breathtaking 12ct Ceylon sapphire engagement ring with a 14-diamond surround made by royal jewellers, Garrard. The ring replicates Queen Victoria’s wedding brooch, which Queen Elizabeth II now owns – this treasured item was greatly admired by Prince Charles and was the inspiration behind the design of Diana’s ring. We rejoiced when this iconic piece was given new life when Kate Middleton famously received the ring upon her engagement to Prince William in 2011. 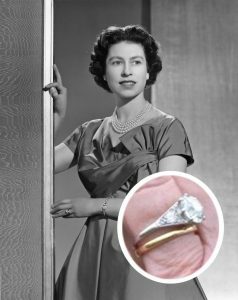 Queen Elizabeth II’s engagement ring, a 3 carat round centre stone surrounded by 10 smaller diamonds, was given to her by Prince Philip. His family were not particularly wealthy at the time so his mother, Princess Alice of Battenberg, loaned her tiara to Prince Philip so he could dismantle it to create the stunning engagement ring which she still wears to this day. 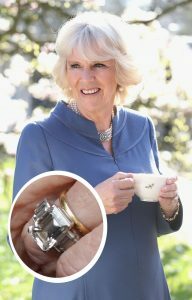 While the details surrounding Prince Charles’ proposal to Camilla, Duchess of Cornwall, haven’t been widely publicised, there is no escaping the beauty of the square cut diamond ring she wears, with three baguette diamonds on either side. This stunning statement piece with its art deco design belonged to Charles’ Grandmother, the Queen Mother, and is said to be one of the most valuable in the royal collection. 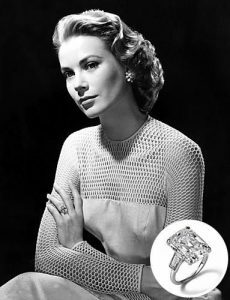 While she may not be part of our royal family, we can’t miss the opportunity to mention Princess Grace of Monaco. Prince Rainier III of Monaco proposed to the actress with a stunning 10.5 carat ring from Cartier. 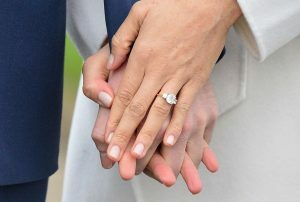 The breath-taking ring is incredibly iconic and with a price tag of £3.1 million it will go down in the history books as the most expensive royal engagement rings of all time. Tiaras are one of the first things many people think of when they picture the royal family. After all, what is a queen or princess without her crown? 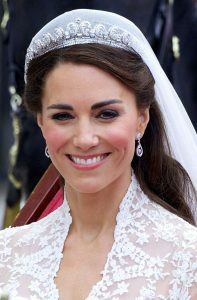 Kate Middleton has worn a few of the most beautiful tiaras in the world in recent years and her wedding day was no exception. 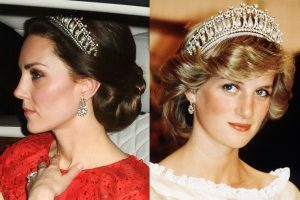 On the special occasion, her ‘something borrowed’ was The Cartier Halo Scroll Tiara. The stunning piece was commissioned by George VI for his wife three weeks before he ascended the throne. With 739 brilliant cut diamonds and 149 baguette diamonds, it may be small in comparison to other royal tiaras, but it’s no less exquisit. The Cambridge Lovers’ Knot (above) is one of the most instantly recognisable tiaras in the royal collection. It was created by Garrard in 1913 after it was commissioned by Queen Mary. The tiara is based on a design worn by her grandmother, Princess Augusta of Hesse, and has since been worn by a number of high-profile royals. Queen Elizabeth II inherited the piece for her coronation year in 1953 and has worn it at various formal engagements since. 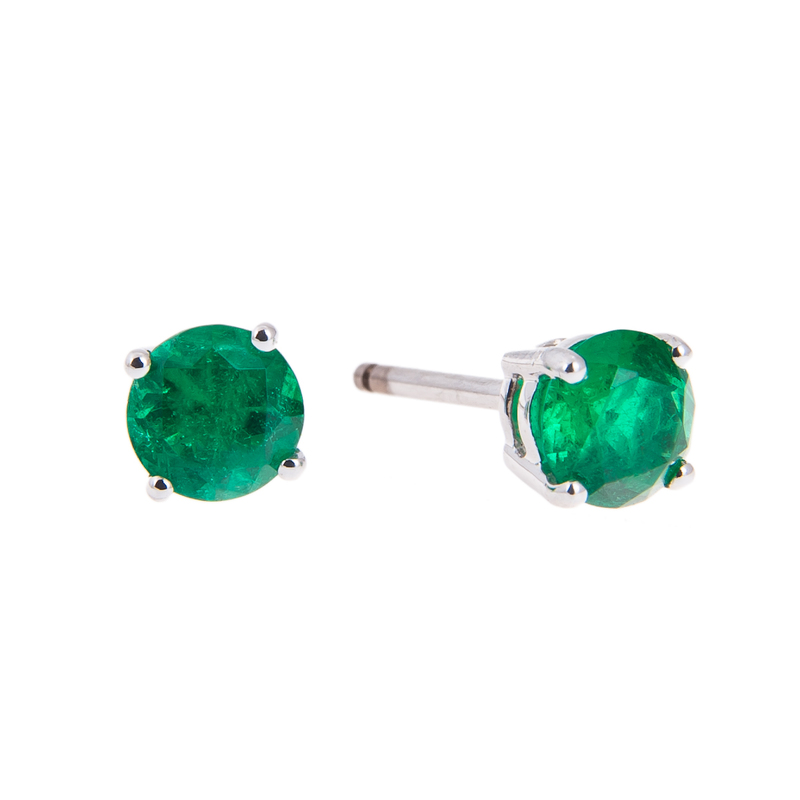 It has also been a favourite piece for both Diana, Princess of Wales and The Duchess of Cambridge. 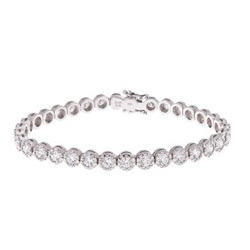 The exquisite piece consists of 19 diamond arches with swinging pearls. Made by Garrard in 1870, the Poltimore Tiara (above) was originally owned by Florence Bampfylde (Lady Poltimore) and eventually purchased on behalf of Princess Margaret. 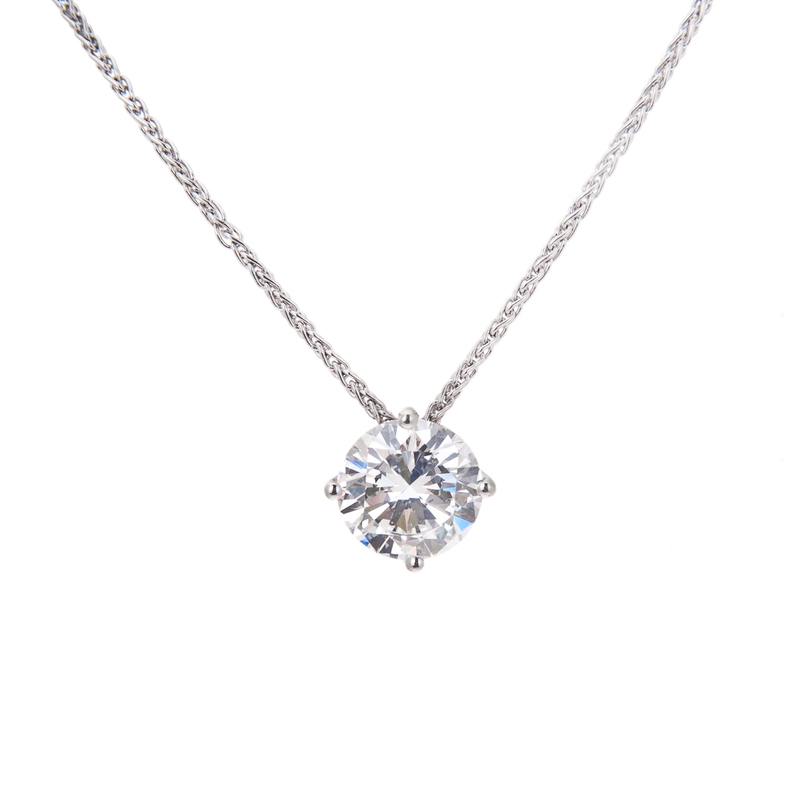 The princess wore the beautiful piece on several occasions, including her wedding day. As with a lot of tiaras, it can be broken down into smaller pieces and worn as brooches. The tiara was eventually sold at auction to a private buyer for $1.7 million. 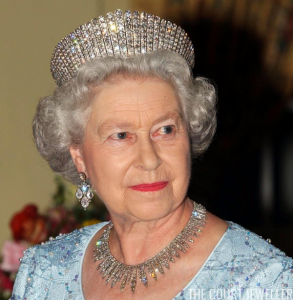 The Russian Kokoshnik Tiara is a firm favourite of Queen Elizabeth II and has been worn on many Royal occasions. 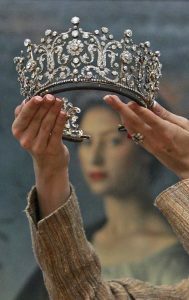 The tiara was a silver wedding anniversary gift to Queen Alexandra of Denmark from her husband King Edward VII in 1888. 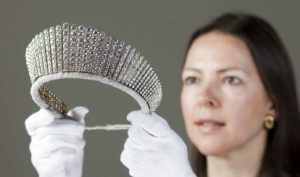 The design is based on a grand diamond fringe tiara worn by Marie Feodorovna and is shaped like a kokoshnik – a halo-shaped headdress worn by Russian women. It was inspired by traditional Russian headpieces and contains no less than 488 brilliant cut diamonds set on white and yellow gold. There is a great tradition for royal brides to wear traditional pieces from the royal collection. With her understated style and elegance, we’re excited to see what stunning royal jewels Meghan Markle wears on her wedding day to one of the nation’s most loved members of the royal family. Established in 1860, Hancocks is renowned for their elegant collection of engagement rings including the finest array of diamonds, sapphires and rubies.